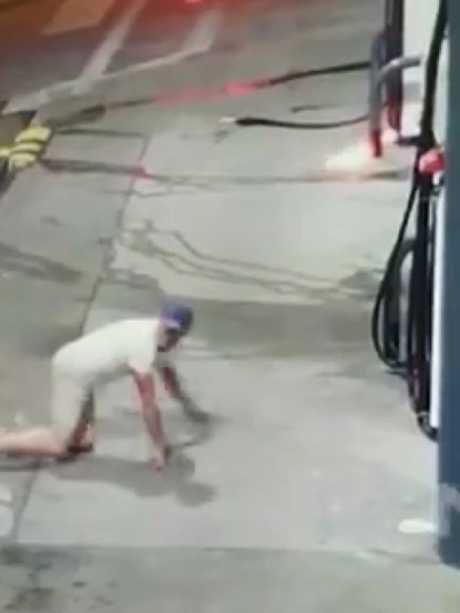 A MAN has crawled into a petrol station and sprayed petrol from the bowsers before lighting the fuel alight in inner Sydney overnight. 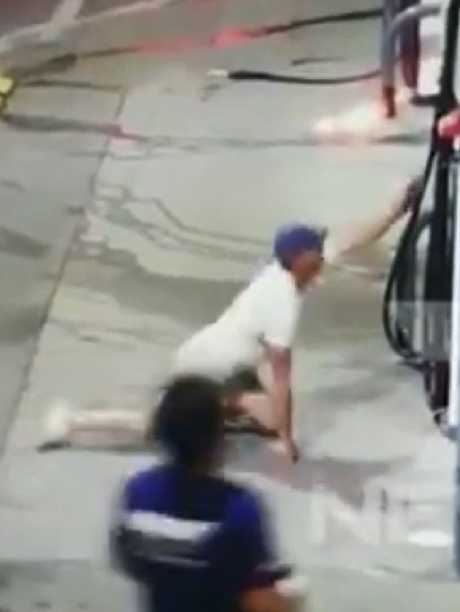 Disturbing CCTV footage shows the man crawling on his hands and knees towards the petrol station on Regent Street, Chippendale, at 2.20am this morning before approaching the bowsers. He grabs a petrol hose and sprays petrol on the ground, then takes a lighter and ignites the fuel. As one of the station attendants runs outside to extinguish the flame, the man crawled on his hands and knees to a second bowser. 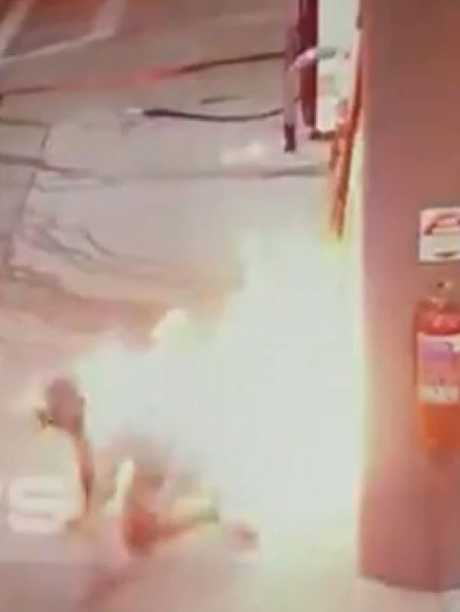 As staff attempted to approach the man he sprayed more fuel, and became engulfed in flames. 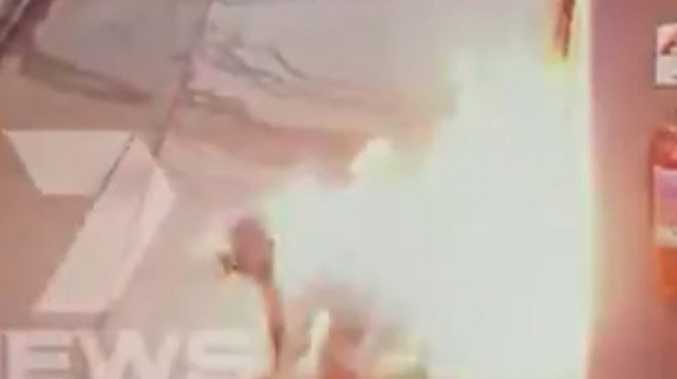 The footage then shows the man crawling away from the large flame. The man was arrested and taken to Royal Prince Alfred hospital where he is being treated for wounds to his knees and will undergo a mental health assessment. He remains there under police guard. The flames self-extinguished before emergency services arrived. 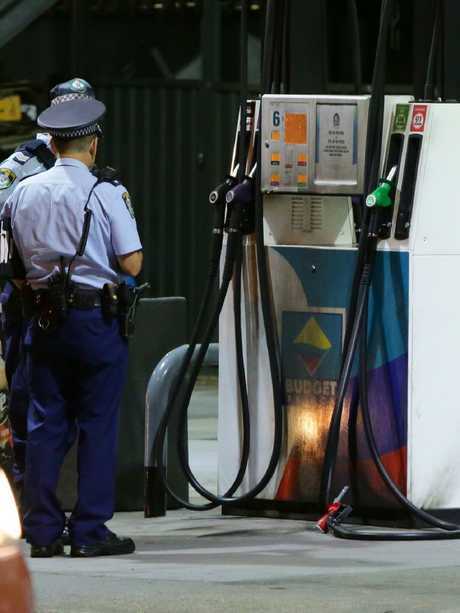 According to 7 News the man requested Budget Petrol staff call the police saying, "I'm going to do this again."